If you should know one thing about Brooklyn, it’s this: the food rocks. And you know, coming from a Manhattan food snob that means something. There’s so much eating to do in Brooklyn. So much food, so little time. One major advantage Brooklyn has over Manhattan is the space. There’s so much of it. And guess what the community likes to do with their open space? 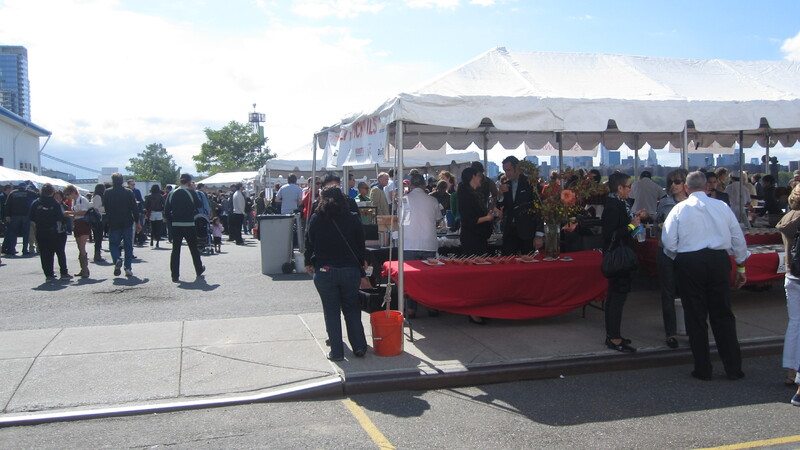 Host food festivals and flea markets revolved around food. Now, this is my kind of borough. It makes seeking out the great places to eat a piece of cake! 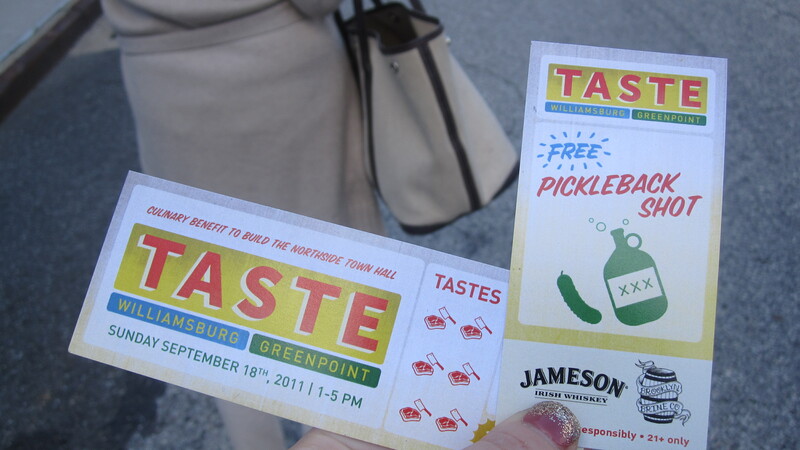 Yesterday, I experienced a little taste of Brooklyn in a very big way, at TASTE Williamsburg and Greenpoint. This all day food, drink and music festival was a Bite-Sized Blast. 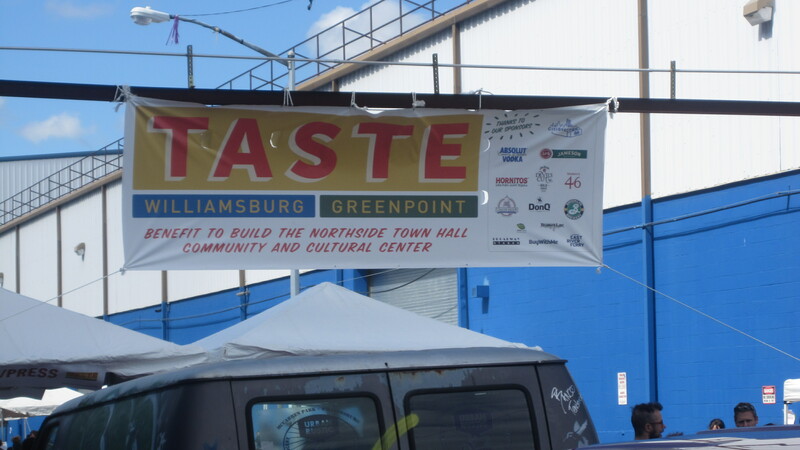 TASTE Williamsburg and Greenpoint was exactly what the name implies, a little taste of the towns. Some of the best local restaurants set up shop so food fanatics alike could rejoice in the glory that is delicious cuisine. With fifty food booths and eight drink booths, a girl can get really overwhelmed. Good thing I am seriously organized. My first order of business, after purchasing a ticket, was to get a map of the festival and a pen. Oh yea, and have a pickleback. A pickleback is one of those things you just have to try in order to understand its beauty, because it’s a shot of whisky followed by a shot of pickle juice. Sounds gross, but it’s anything but. The pickle juice cuts the harsh taste of the whisky and leaves you with a sweet and salty aftertaste. 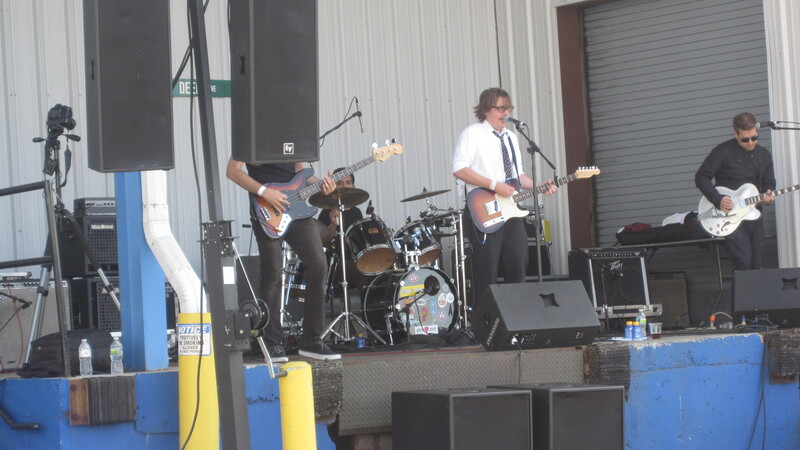 So, with a shot under my belt, and my plans laid out, I walked into the festival and here’s where I went. My first food stop was Fette Sau, obviously. Fette Sau is known for having some of the best barbeque in New York City. 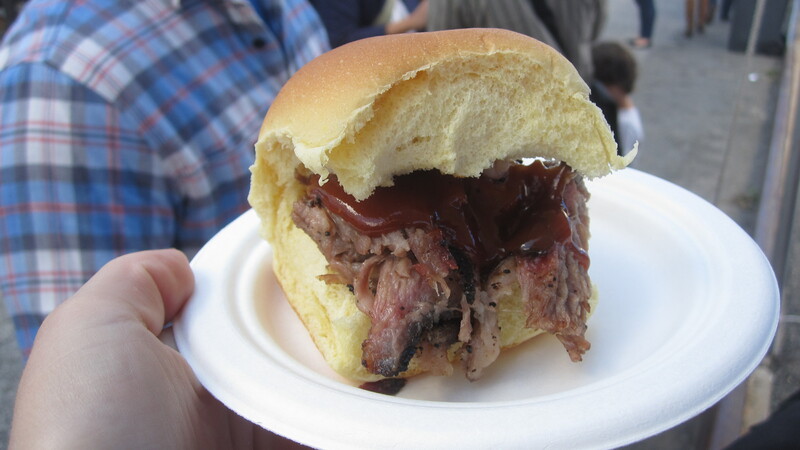 They were serving brisket sandwiches on soft potato rolls with sweet barbeque sauce. The brisket was tender as can be and so smoky. I could have eaten the entire booth worth of brisket. Fette Sau – I will be back. Next stop, BETTO, for market toast and little meatballs. The market toast was smeared with creamy ricotta and drizzled with lemony syrup. 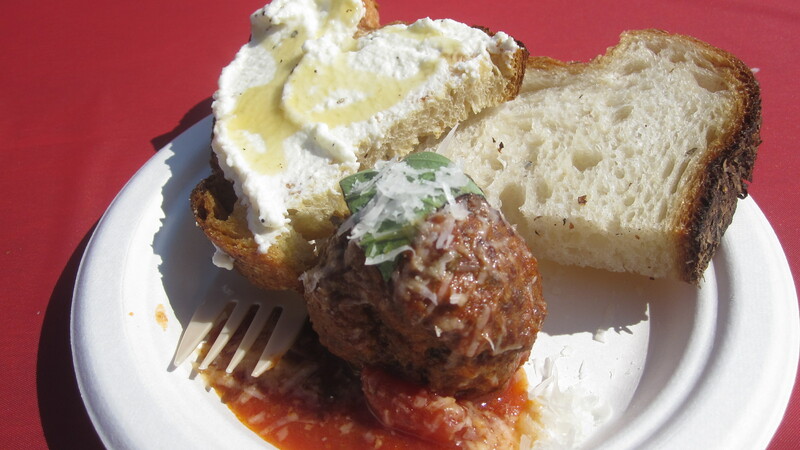 It was a satisfyingly simple accompaniment to the meatball. 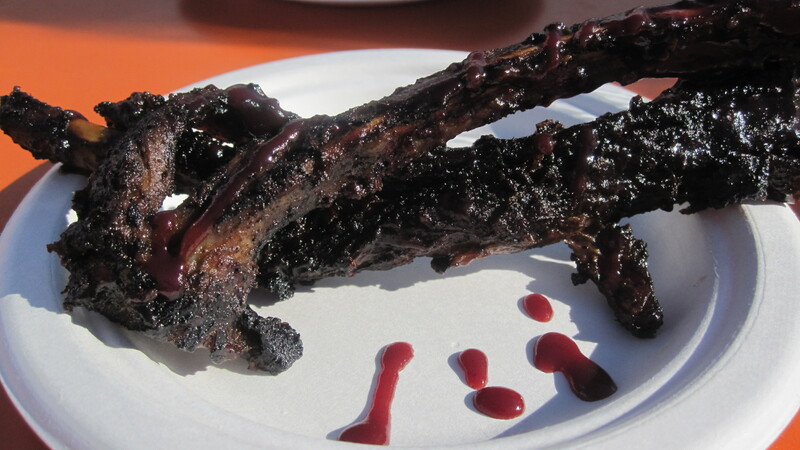 Lodge and Urban Rustic offered wild boar ribs with a blueberry barbeque sauce. The only thing this Bite-Sized Blonde used to know about boars was from the best show ever created, LOST. I now understand why John Locke used to eat them; they are delicious. I also sampled a Vietnamese sandwich from An Nhau, chicharones from Calyer, arepas from Caracas Arepa Bar and an ice cream sandwich from the Nitehawk Cinema. This awesome movie theater has a full menu, which takes the concept of dinner and a movie to a whole new level. Add a few glasses of Rose and beer to the mix and my Sunday was in full swing. On a gorgeous day, it doesn’t get much better than this. 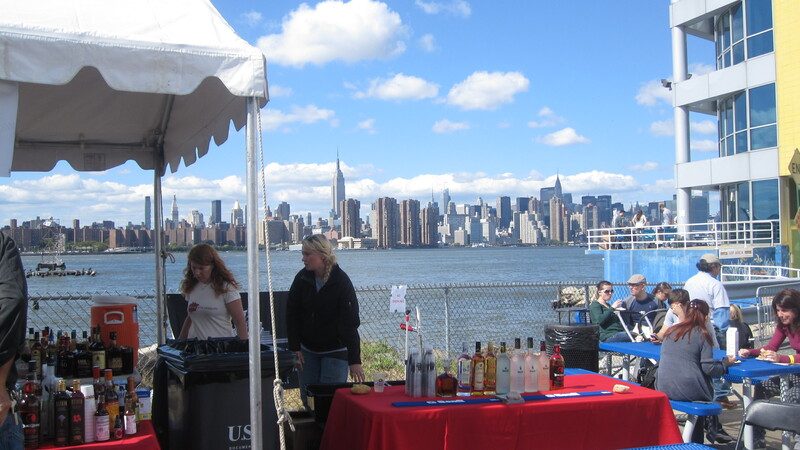 Don’t worry if you missed TASTE, there is always the Brooklyn Flea market every weekend and Smorgasburg too!! It’s a seriously delicious way to spend the day. And take it from me, this won’t be your last trip to Brooklyn. This entry was posted in Festival and tagged Brooklyn. Bookmark the permalink. THANKS FOR YOUR POST . LOOKS SO ENTICING . I THINK I WILL TRY IT ON YOUR BEHALF .